THIS POOR CAT SHOULD HAVE GONE FOR SCRAP WHEN I FIRST SEEN IT IN ILFORD MANITOBA IN 2003. IT WAS 1/2 SUNK IN THE GROUND AND LOOKED VERY SAD BUT I KNEW I COULD GIVE THIS CAT A NEW LIFE. 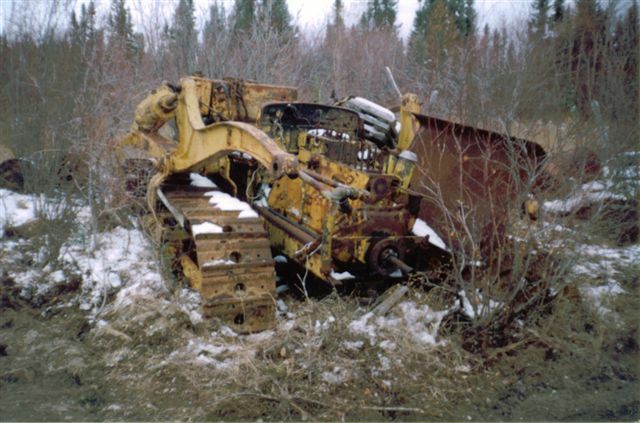 ONCE THE CAT ARRIVED IN LYNN LAKE AT THE "KINGDOM", WORK BEGAN ON STRIPPING HIM DOWN TO MAKE A WINTER FREIGHTING CAT. 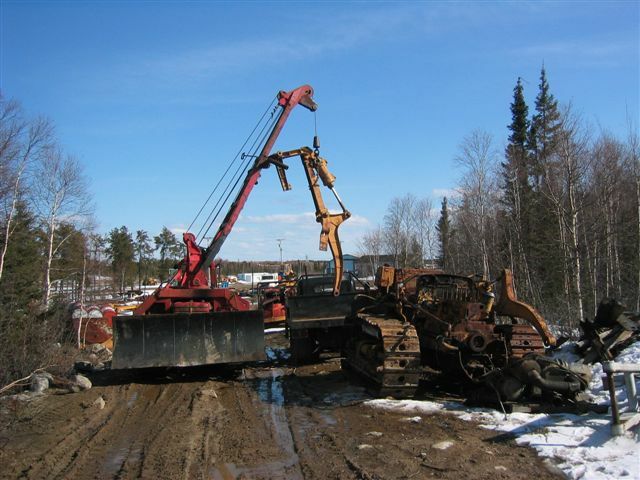 I USED THE RED CRANE CAT TO REMOVE THE BIG OLD DOZER. 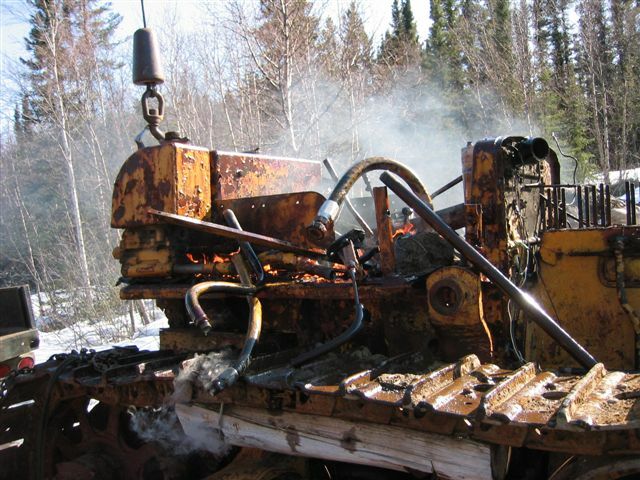 ONE OF THE FEW TRICKS IN THE GREAT WHITE NORTH IS TO THIN OIL THE HYDRAULIC OIL WITH KEROSENE. SO WHEN YOU CUT THE HYDRAULIC LINES WITH A TORCH YOU GET INSTANT FIRE SHOW. SO I'M ALWAYS CAREFUL AROUND THIS. SO READ MORE ON THE GMC V-12 BEING MOUNTED IN THE TD-18 CAT KNOWN AS "TD-18X2" CLICK ON AND ENJOY.